April is National Poetry Month in the U.S. and to celebrate, we would like to spread the joys of poetry throughVoki! Beginning April 1st (no joke! ), we will post your Voki poets every Friday until the end of April. Do you have your own poem or a favorite poem that you would like to share with others? If so, send us the embed code of your Voki poet and we will include it in our weekly poetry post throughout the month of April. Please send the title, text, and author of the poem as well. To submit your Voki Poet, email us the entire embed code to feedback@voki.com. Check our blog each Friday to see your Voki give its poetry reading! Check our blog every Friday to see one of your Vokis give a poetry reading! There are lots of fun ways to participate in National Poetry Month. Take a stroll through Poets.org, brought to you by the Academy of American Poets, for 30 ideas on how to celebrate. Also, be sure to check back here for poetry lesson plans and to see if your Voki poet has been published on our blog! 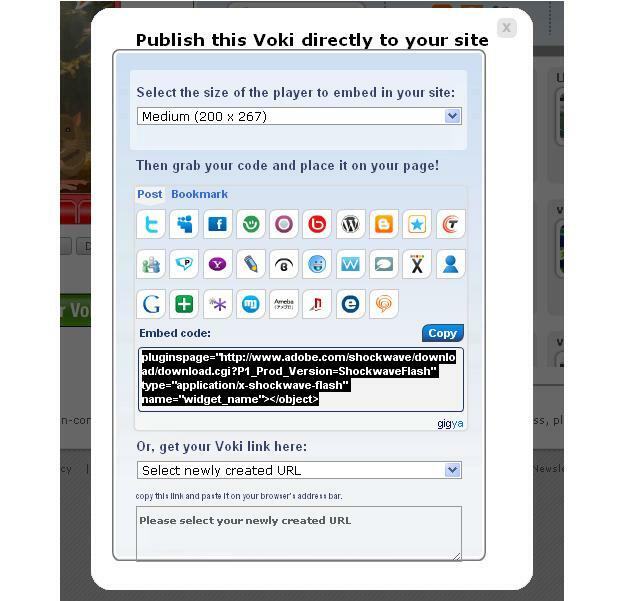 As always, if you have any great lesson plans or ideas you would like to share, please feel free to email us at feedback@voki.com. Financial Education Starts in the Classroom!